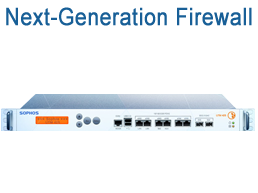 Sophos simplifies network security. Small and medium-sized businesses in particular are able to shape a comfortable, yet more effective network environment through Sophos solutions, protecting against data theft, viruses, spyware and spam. 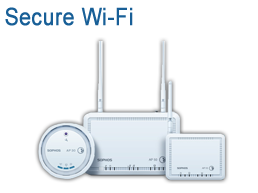 Sophos UTM helps you consolidate your security without compromising its effectiveness. It’s security made simple, protecting your users everywhere while making security easier to deploy and manage. XG Firewall: A suite of advanced protection including IPS, ATP, Sandboxing, Dual AV, Web and App Control, Anti-phishing, a full-featured Web Application Firewall. Secure Web Gateway: Ultimate in web security, control, and insights. Web protection that’s effective, affordable, and easy with lightning performance that won’t slow users down. Secure Email Gateway: Simple protection for a complex problem. Targeted threats and spear phishing attacks don’t stand a chance with transparent email filtering. Phish Threat: Sophos Phish Threat educates and tests your end users through automated attack simulations, quality security awareness training, and actionable reporting metrics. 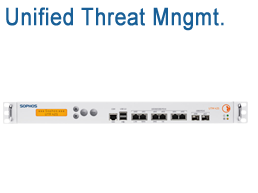 Sophos has several products for protection - for your servers and also your end users. Intercept-X: Features CryptoGuard, which prevents the malicious spontaneous encryption of data by ransomware - even trusted files or processes that have been hijacked. Sophos Mobile: Sophos Mobile delivers security for mobile users. Ideal for businesses that want to spend less time and effort to manage and secure mobile devices. SafeGuard Encryption: Sophos SafeGuard encrypts content as soon as it’s created. And with the encryption always on, you can enjoy seamless secure collaboration. Server Protection: Integrates anti-ransomware, application whitelisting, advanced anti-malware and HIPS providing easy, centralized management of the security of all servers. It just isn't possible to show you everything that's new in XG Firewall v16 in just 2 minutes, since there are just way too many new features and enhancements, so enjoy this 8 minute overview. The weakest link in a company's cyber-defenses? People! Sophos Phish Threat teaches end users to spot phony phishing messages with a series of simulated attack emails and easy-to-deploy training campaigns. Our specialists are expert in designing network security solutions and can help you create a plan for sourcing and deploying your Sophos solution. Optrics offers personalized Sophos product training - a service designed to help you integrate your Sophos solution smoothly into your network infrastructure.